Jjigae is a Korean dish similar to a Western stew. 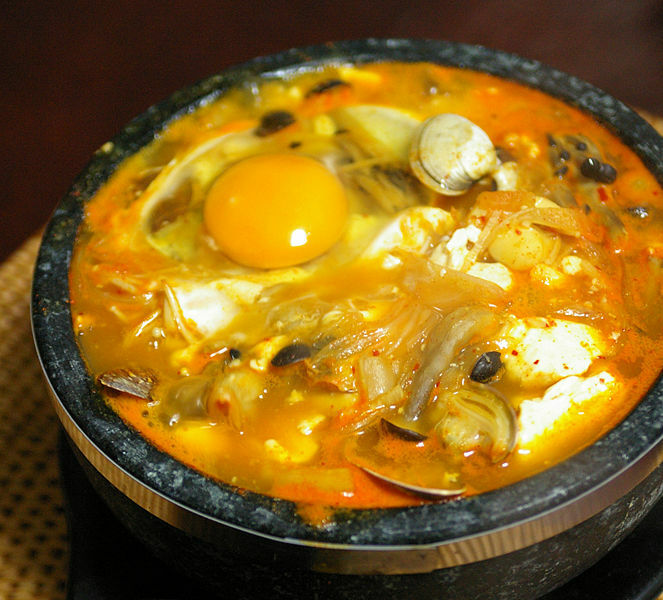 A typical jjigae is heavily seasoned with chili pepper and served boiling hot. A Korean meal almost always includes either a jjigae or a guk (soup). 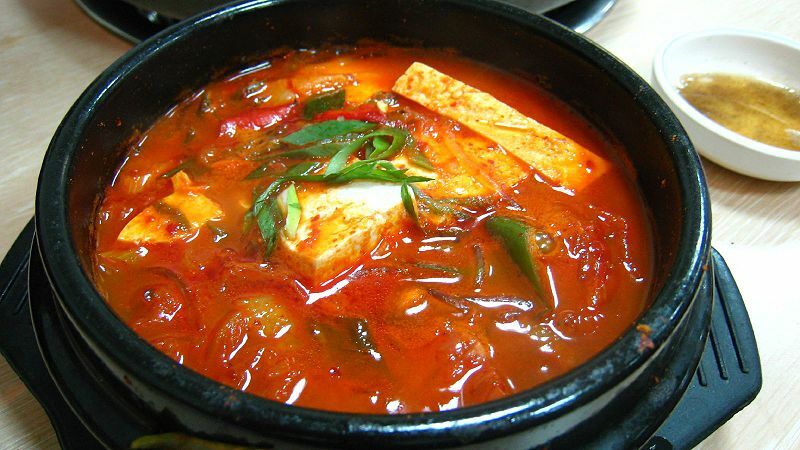 Jjigae are divided into various types, depending on either their principal ingredient like saengseon jjigae (fish stew) dubu jjigae (tofu stew), or their broth and seasonings like gochujang jjigae or doenjang jjigae. 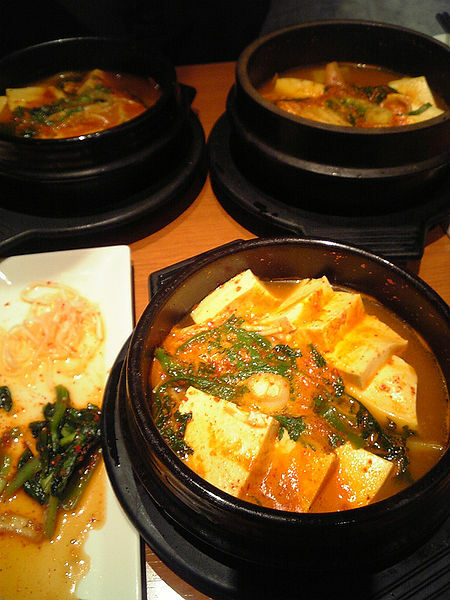 Left: Dubu jjigae (Korean tofu stew). Kimchi jjigae, made with kimchi and other ingredients. Sundubu jjigae, made with uncurdled tofu and other ingredients. Dubu jjigae, made with a doenjang broth and extra tofu. Saengseon jjigae, made with fish. Ge jjigae, made with crab. Budae jjigae, made with a spicy broth and assorted meats and other ingredients. Myeongranjeot jjigae, made with myeongran jeot (salted fermented roe). Sundubu jjigae with a bowl of steamed black bean rice.